In 1928, John B. 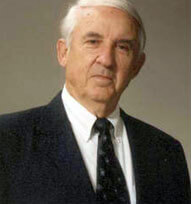 Parks, Sr. began his long career in the funeral business with a Georgia funeral home. 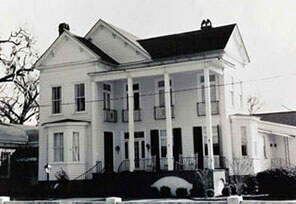 He moved to Summerville, South Carolina, with his wife, Pauline, and on June 1, 1940, opened Parks Funeral Home. Their only son, John B. (Jack) Parks, Jr., graduated from the Cincinnati Mortuary School in Ohio and continued the business into the second generation, with his wife, Jo Ann B. Parks. Their dedication and commitment to the family business was passed on to their children. John (Johnny) Parks, III, James (Bo) Parks and Paula Parks Wicker all participate in the family business and humbly continue the legacy that was started in 1940 by John and Pauline well into the third generation. Today, Parks Funeral Home is an honored family business and remains one of the oldest family-owned funeral homes in the area. The Parks Family has proudly served the families of Summerville and surrounding areas for more than 78 years. Most area residents have probably visited 130 West 1st North Street because it has been the site of Parks Funeral Home for three generations. The house was built in the early 1880's as a large family residence. According to records, the house was under construction for two years and eight months. Thaddeus Stanland was a confederate veteran who came to Summerville in 1881 with his wife, Sarah, and bought large tracts of land to establish his lumber business. He built his house from the finest timber, using wide, square trees as columns to tower from foundation to roof and to run the full length of the house. The huge beams were supposedly dragged from the mill to the construction site by oxen and mules that were then used to help pull them into place. The house was painstakingly designed, and each piece of lumber was cleverly numbered to ensure proper placement. At the time of Thaddeus Stanland's death in 1908, he left the home to his wife, Sarah, and daughter, Ruth. In 1912, T. W. Salisbury purchased the house for $2,800. Mr. Salisbury and his wife, Fannie Lillian, raised their family here, with two of their daughters, Lila and Martha, actually being born in the front room. Their daughter, Fannie, was married in the house, and at the time of her death, the same parlor was used for her family visitation. The original house had two parlors, a dining room, a fourth room downstairs, and four bedrooms upstairs. The kitchen was separated from the house by a breezeway. The beautiful, wide heart of pine floors have retained their luster throughout the years. Passageways are decorated with wide carved consoles with transoms over the doors. Many of the original windows are still intact. The six fireplaces have since been closed off. Clearly, this house was built to last as it has weathered fire, earthquake, and at least two major hurricanes with little damage. In 1940, Mr. and Mrs. John B. Parks, Sr. opened the funeral establishment. Over the years, the funeral business necessitated expanding the first floor to add an office, a large visitation parlor, and a casket display room. After more than a century, this house still provides a safe haven and peace for families and their loved ones who have gone home.